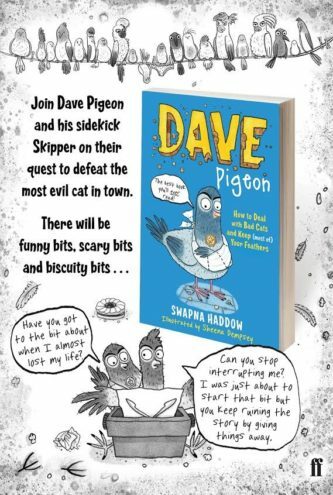 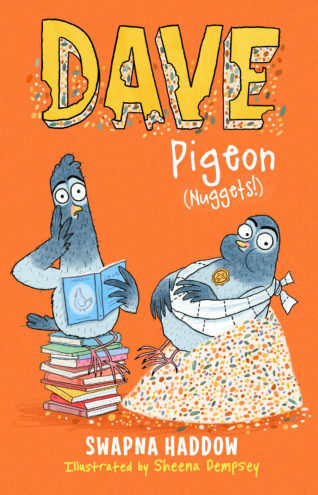 Swapna Haddow's debut series, Dave Pigeon (Faber & Faber), illustrated by Sheena Dempsey, follows the antics of two pigeons as they advise pigeonkind on how to survive in the world. 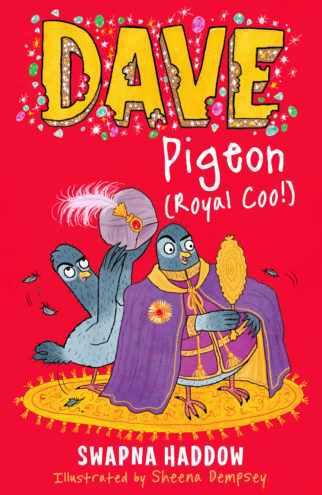 The fourth book in the series, Dave Pigeon (Royal Coo!) 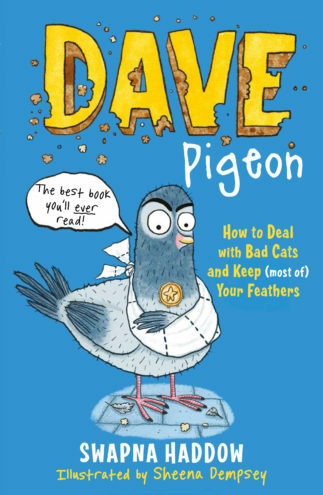 is out now. 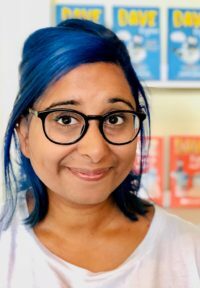 Swapna lives in New Zealand with her karate-chopping, swash-buckling son and her thirty-something, age-sensitive husband. 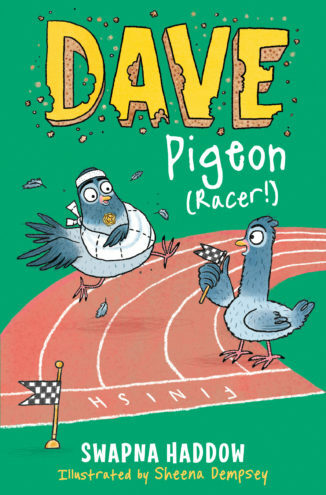 She spends her time writing, eating cake and making sure her son doesn’t flatten her husband as he attempts to master his human cannonball trick. 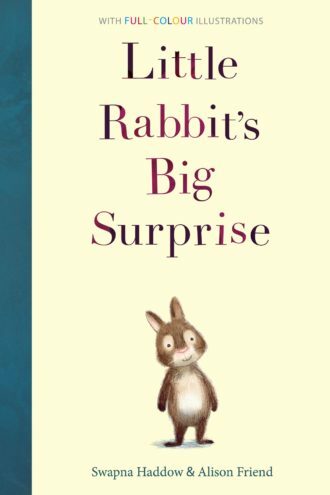 Sometimes she does all three at the same time.